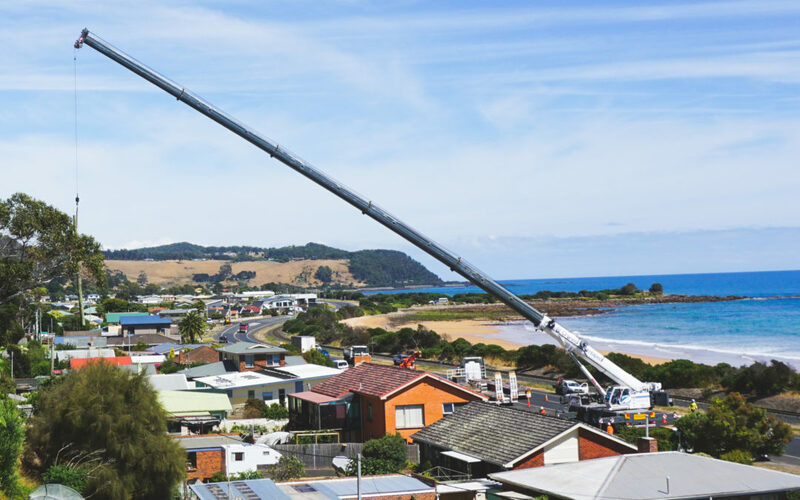 The lightweight Grove GMK5150L crane ideal for Australia’s strict road regulations. Toward the end of last year Australian crane rental company CranesCombined received its latest Grove crane, a GMK5150L all-terrain. Company owners, husband-and-wife team Chris and Cathy Kolodziej, bought the 150 t unit to replace an older 100 t-rated GMK4100L, which was purchased back in 2011. Cranes Combined bought a GMK5150L all-terrain crane as a bigger and newer replacement for its GMK4100L. As the lightest five-axle crane in the 130 t – 150 t class, the GMK5150L adheres better to Australia’s strict road regulations.